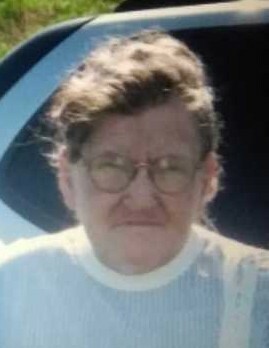 Dorothy Lee Maynor, 70, of Burnsville, passed away Wednesday, March 27, 2019, at her home. A native of Avery county, she was a daughter of the late Bart and Nell Trivett Maynor. She was also preceded in death by sisters: Mary Calloway and Bill Harris and brothers: Robert and Stan Maynor. Dorothy enjoyed quilting, crocheting and working puzzles. Surviving are her children: Rena Yount and husband Robert of Hildebran; Randy Webb of Burnsville; Peggy Garrison and husband Jeffrey of Arden; Roberta Webb and Tammy Penrod and husband Richard of Greeneville, TN; grandchildren; Travis Conley, Oliva Conley, Waylon Webb, Tash Webb and Randa Webb, Amanda Garrison, Josh Garrison, Heather Webb, Lori Case, Haley Peterson, Savannah Riggs and Joseph Penrod; 10 great grandchildren and brothers; Doug Maynor of Nebo and Tom Maynor of Marion. A memorial service will be held at 2 PM Friday in the Chapel of Holcombe Brothers Funeral Home. Hospice Chaplain Joe Bennett will officiate. The family will receive friends one hour prior to the service at the funeral home.